Energy bites are easy to make and a storehouse of nutrients. 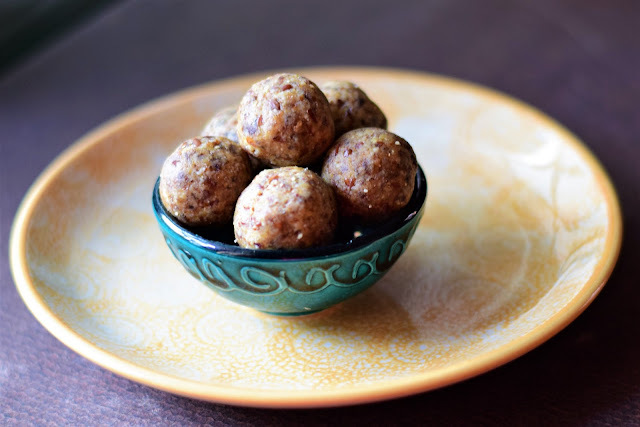 In this recipe, I have used nuts and dates as a healthy snack option for kids and adults. You can vary the ingredients and their proportions to suit your palate. 1) Blend the nuts first in a food processor or mixer to a coarse paste. 2) Add the chopped dates and flax seeds. Blend for a few minutes. 3) Make small balls and serve. 1. The stickiness in the dates will help bind the mixture into balls. 2. There is no need to add jaggery, honey or sugar as the sweetness in the dates is enough. Adjust the quantity of dates as needed. 3. 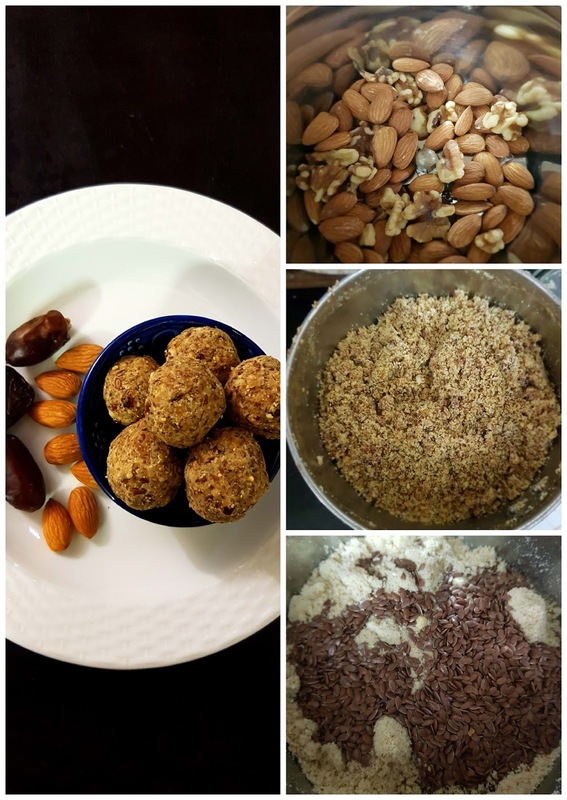 You can add any nuts or dried fruits to this recipe.